Time-delay occurs in many physical, industrial and engineering systems such as biological systems, chemical systems, metallurgical processing systems, nuclear reactors, hydraulic systems and electrical networks, to name a few. The reason for the occurrence could be attributed to inherent physical phenomena like mass transport flow or recycling. It could result from the finite capabilities of information processing and data transmission among various parts of the system. In addition, they could be by-products of computational delays or could be intentionally introduced for some design consideration. Such delays could be constant or time varying, known or unknown, deterministic or stochastic depending on the system under consideration. In recent years, time-delay, which exists in networked control systems, has brought more complex problems into a new research area. Frequently, it is a source of the generation of oscillation, instability and poor performance. Therefore, the subject of Time-Delay Systems (TDS) has been investigated as functional differential equations over the past four decades. Because the presence of the delay factor renders the system analysis more complicated, the problems of stability and stabilization are of great importance. This book presents some basic theories of stability and stabilization of systems with time-delays. More attention is paid to the synthesis of systems with time-delay. 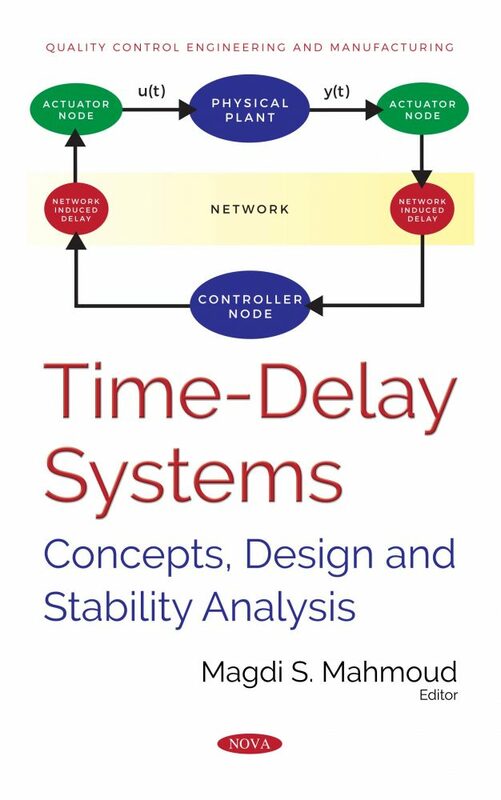 That is, control of nonlinear systems with delay; networked control systems; positive delay systems; fuzzy systems; and reset control with random delay are all analyzed within this book.